Introducing the new Vue.js 2 Book, 2019 Edition! 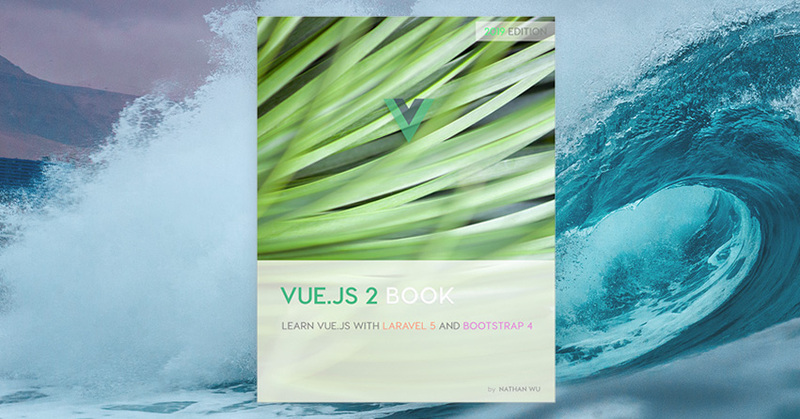 Vue.js 2 book was the first Vue 2 book on the market. And it's now the first Vue book that supports Bootstrap 4 and the newest version of Laravel. All chapters have been updated. This new book comes with new images, updated content, and we can now build apps with Vue CLI 3 - the official standard toolchain for Vue applications! Note: This is a major update. You can still read 50% of the Vue book for free! If you've purchased the old version of the book, you can download this new version for free. Yes! Free! A special holiday gift from Nathan Wu.